This unique travel guide explores the streets, schools, characters, and neighborhoods of author Beverly Cleary’s Portland. With this new and most unusual guidebook, readers can walk the very sidewalks that Beverly walked and climb the very school steps that Beverly climbed. You'll see the grocery parking lot where Ramona got stuck in the mud, the park lawn where Henry Huggins hunted nightcrawlers, and the real Portland street that became Klickitat Street, their fictional home. Beverly Cleary’s Portland was much different than the Portlandia of today. Walking with Ramona brings to life what 1920s and 1930s Portland was like for the “girl from Yamhill” who went on to become an internationally beloved author. Characters like Ramona and Beezus, Henry and Ribsy, and Ellen and Austine come to life on this hour-long walking route through the Northeast Portland neighborhood where Beverly grew up. 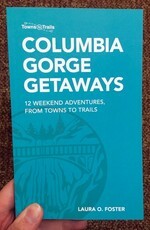 The book features an approximately three-mile walk (or bike ride!) around Northeast Portland, plus other Oregon destinations. Read our interview with the author here! 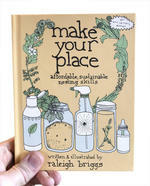 Hear the author talk about the book on KBOO Community Radio here. 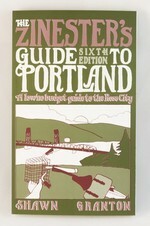 The author is available to lead tours to benefit Portland-area nonprofits. 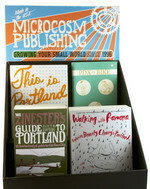 Please contact Microcosm for more information. "... covers the very real places that inspired the world built by [Beverly] Cleary in her Ramona Quimby series of children’s books." 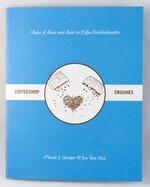 "A quick but fascinating read loaded with details...its charm is as heart-warming as Cleary's creations." 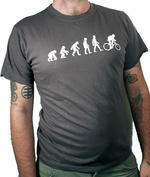 "I do not know if there are more guides like this, but the truth is that the concept is quite interesting. Through this guide we can travel around the city with stops at sites...[where we now know] the stories that lie behind them..."
"Though the city has changed tremendously, the book allows readers to discover Cleary’s delightful, sweet characters and the Portland that used to be." "The journey celebrates what was, what is and what only exists within the pages of Cleary’s fictional world...Cleary had a 60-year jump on “Portlandia.” Her 16 Portland-based works are indelible proof. Foster’s “Walking with Ramona” is an indispensable tribute"
"Fosters clearly has done her research and her fascination with the subject shines through...This is an easy-to-read book with lots of fun information. It would be effortless to create a field trip for kids and adults and make a true adventure!" 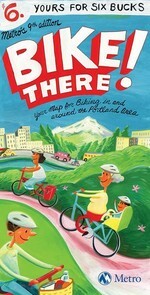 "If you’re planning a trip to Portland, Oregon, and you are a Beverly Cleary super-fan, be sure to pack this little guidebook...Much of the Cleary-specific...biographical details are well woven here into a larger fabric of Portland history." 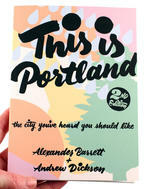 "With this unusual Portland guidebook, readers can walk the very sidewalks Cleary walked and climb the very school steps that she climbed...The book [also] features an almost-three-mile walk (or bike ride) around Northeast Portland, plus other Oregon destinations." 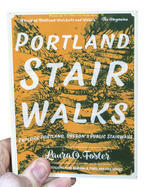 "Foster is the author of four Portland walking books...this is a target-rich environment." 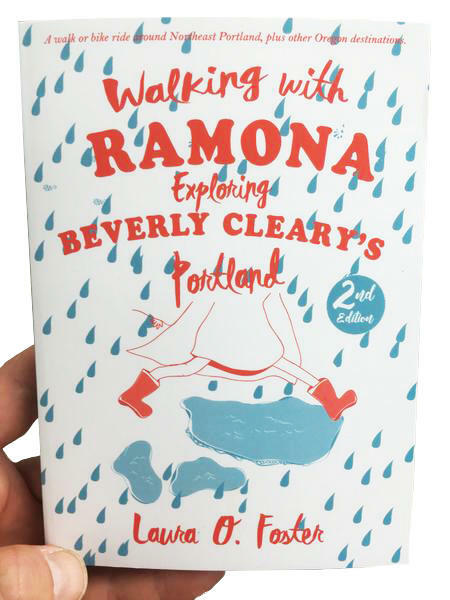 "It doesn't get more Old Portland than Ramona Quimby...Since 2009, author and walking expert Laura O. Foster has led Walking with Ramona tours through the neighborhood that makes up Ramona's world...Now, you don't have to feel like a Segway tourist and can instead take yourself on the tour." 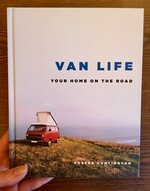 "Ramona would be amazed by this book! I love seeing where she lived and learned." I don’t like to brag, but I can hum and whistle at the same time. Also, I've lived near Beverly Cleary’s childhood home for many years. And yet even I found Laura O. Foster’s Walking with Ramona to be hugely impressive, absolutely enriching, and downright inspiring. 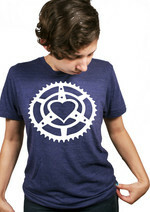 Kudos to Laura for writing a book that would make Ramona proud!